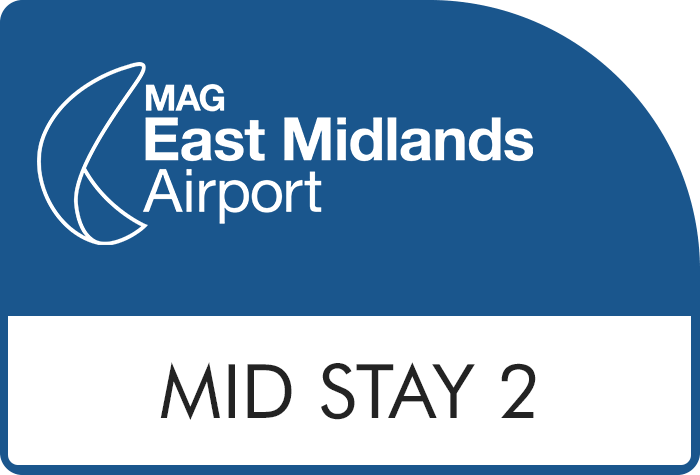 If you're looking for simple and affordable East Midlands airport parking that doesn't compromise on convenience or security, the Mid Stay 2 car park would be a great choice for you. 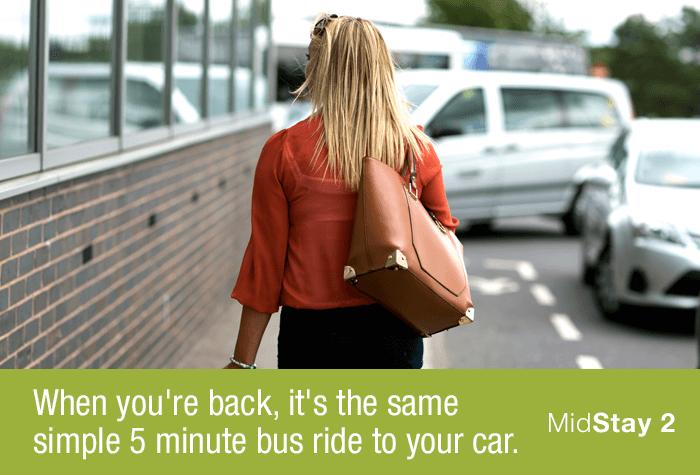 The parking process is hassle-free; park up, keep your keys and walk to check-in - you'll be there in 5 minutes. While you're away your car will be well looked after - as an official car park, Mid Stay 2 is equipped with top notch security including around the clock patrols and 24 hour CCTV. If youre looking for convenience as well as value for money, Mid Stay 2 is a great option. Its one of the closest Mid Stay car park to the terminal - just a 5-minute walk away. Mid Stay 2 likes to keep your parking simple - simply drive up and park. 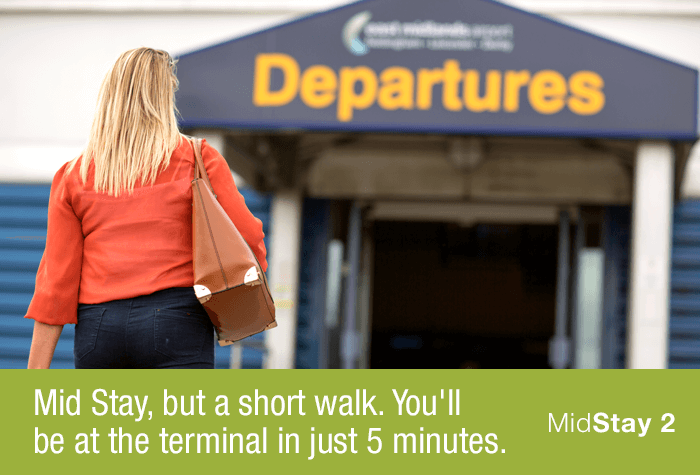 Mid Stay, short walk - you're only a 5-minute walk away from your terminal. You just need to follow the signposts. With security patrols around the clock and 24-hour CCTV recordings, your car will be closely monitored. For added peace of mind, youre leaving your car at an official airport car park, on the airport grounds. 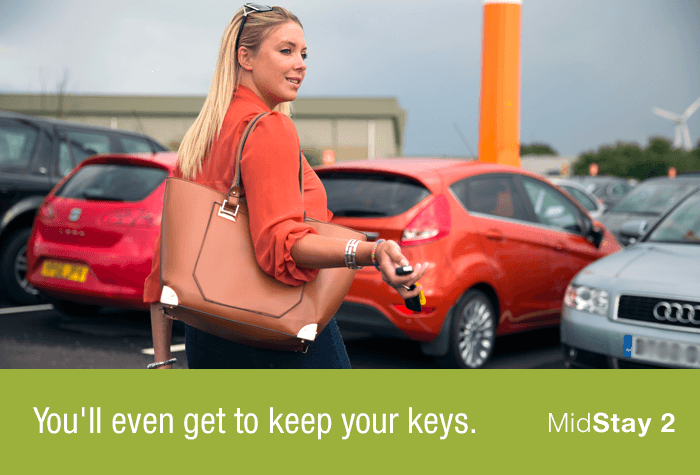 As if that wasn't easy enough, the car park even lets you keep hold of your keys, for peace of mind while you're away, and a stress-free departure when you return. Accessibility - Due to the walking distance we would recommend booking the Short Stay 3 which is closer, or the Long Stay 1 which has an accessible shuttle bus to take you to the terminal. 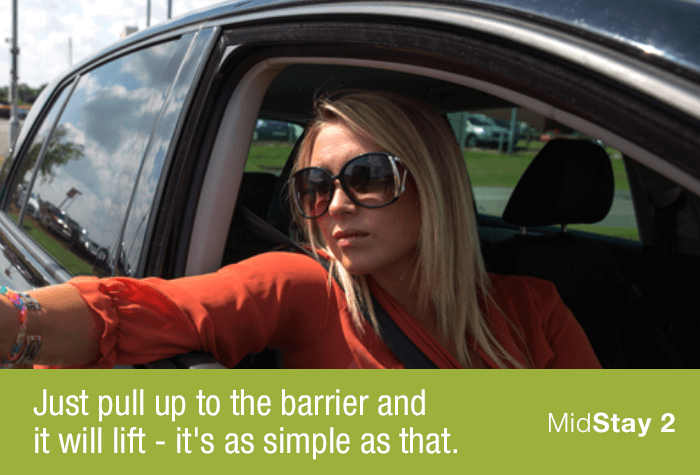 The car park doesn't have a height restriction, but your vehicle will need to fit in a standard parking bay. There's only a 5-minute walk between the car park and the terminal - simply follow the signposts from Mid Stay 2. Easy to book, easy to find, easy walk to terminal. Our customers rated East Midlands Mid Stay Car Parking 2 on average 9/10 (1763 reviews). Read East Midlands Mid Stay Car Parking 2 reviews.